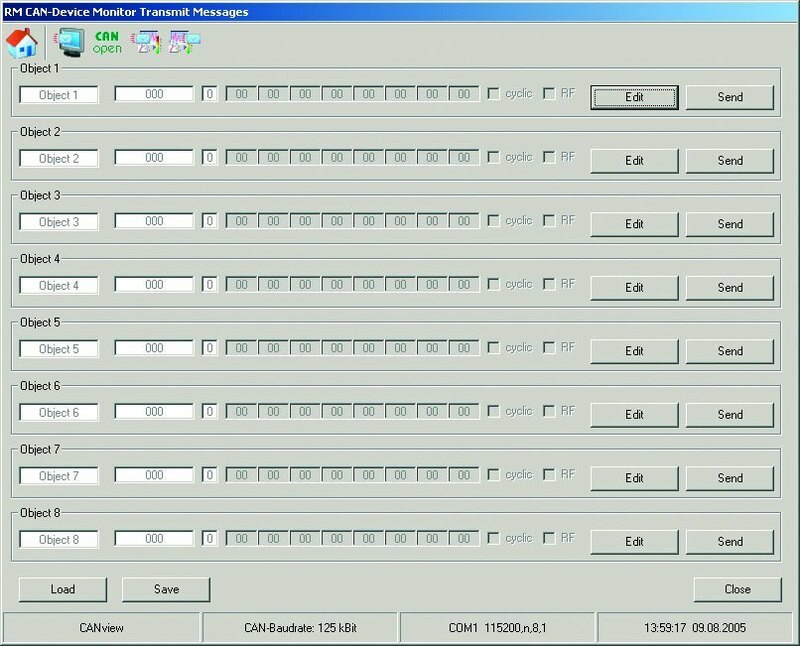 The Proemion CAN-Device Monitor is a tool for the receiving, editing and transmitting of CAN messages with the help of the PC. 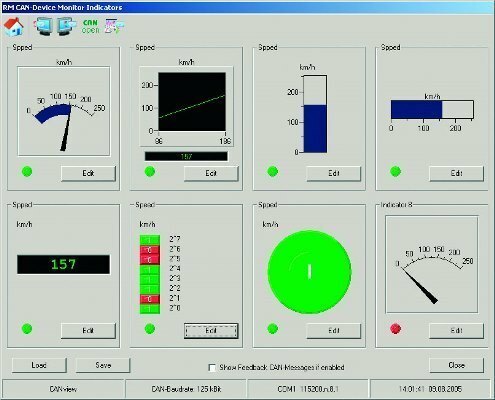 The PEtools Monitor also enables the carrying out of CANopen functions. 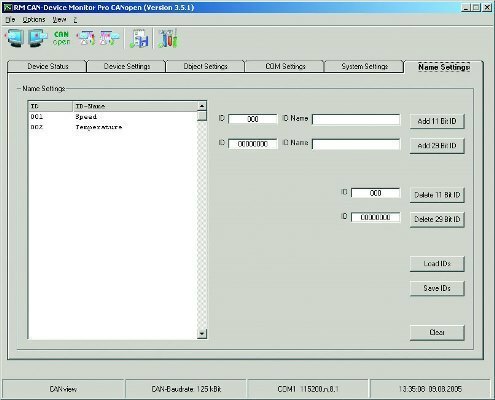 The CANopen tool of the Proemion CAN-Device Monitor offers a range of options for the completion of basic CANopen functions. 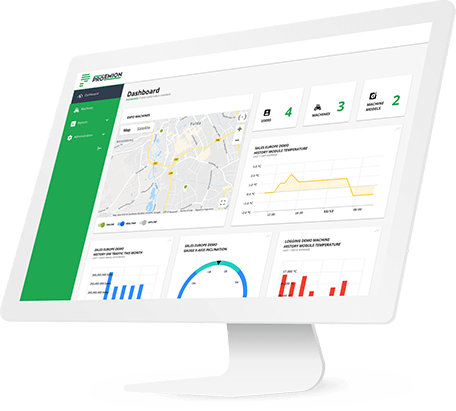 It enables, for example, SDOs to be exchanged with other CANopen devices (SDO transfer), NMT commands to be completed, the searching for CANopen nodes (Node Scan) and for these to be monitored (Node Guarding). The CANopen tool also supports EDS files, which means CANopen Nodes can be configured with the help of EDS files. 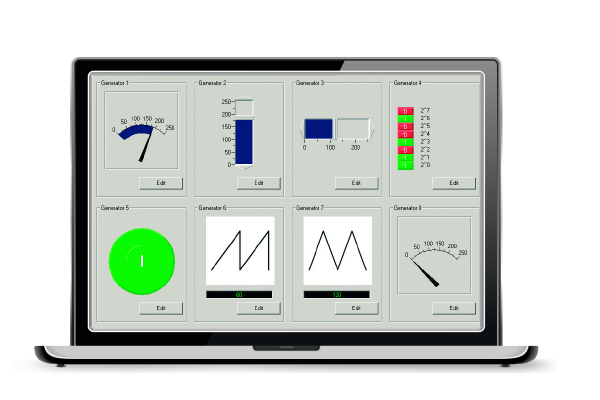 With the Proemion CAN-Device Monitor, CAN data are visualized and generated in various ways. Eight display fields can be individually edited as required. 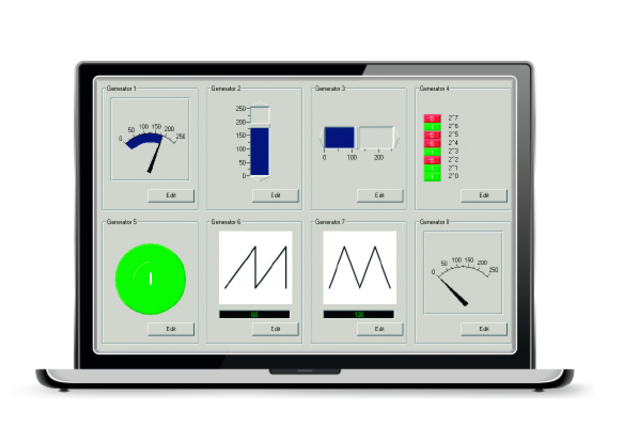 Horizontal and vertical bar charts, pointer instruments, LEDs, graphs and numerical displays (Hex, Dez, ASCII and Byte) are available for editing, sawtooth and triangle waveforms are available for generating CAN data. 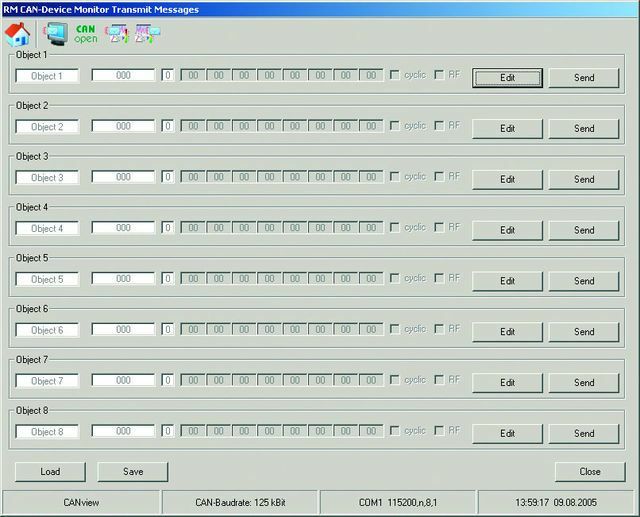 The Proemion CAN-Device Monitor can be used to receive and transmit 11-bit and 29-bit CAN messages. 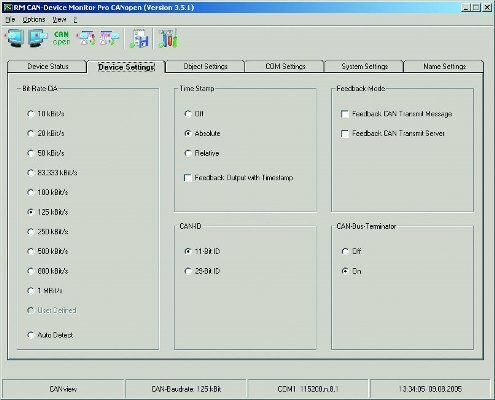 Received CAN data on a hard disk in the receive window of the Proemion CAN-Device Monitor can be shown in decimal, hexadecimal, or ASCII format. In this context, a CAN message counter and a CAN message/second display document the incoming CAN messages. The receive window also enables access to transmit objects without having to switching to the transmit window.